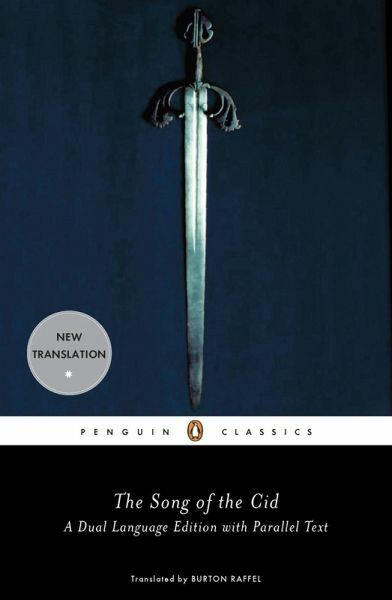 Venture into the heart of Islamic Spain in this vibrant, rollicking new translation of The Song of the Cid, the only surviving epic from medieval Spain. Banished from the court of King Alfonso, the noble warrior Rodrigo Diaz, know as the Cid, sets out from Castile to restore his name. In a series of battles, he earns wealth and honor for his men and his king, as well as fame and admiration for himself. But it is in rescuing his daughters from their ill-suited marriages that the Cid faces the ultimate challenge to the medieval heroic ideal. Burton Raffel (1928-2015, translator) was a Distinguished Professor of Arts and Humanities Emeritus and Professor of English Emeritus at the University of Louisiana at Lafayette. He translated many works, including Cervantes's Don Quixote, Rabelais's Gargantua and Pantagruel (winner of the 1991 French-American Foundation Translation Prize), Chrétien de Troyes's Arthurian Romances, Balzac's Père Goriot, and Chaucer's Canterbury Tales. His translation of Beowulf has sold more than a million copies. María Rosa Menocal (1953-2012, introducer) was the Sterling Professor the Humanities and Director of the Whitney Humanities Center at Yale. She wrote The Ornament of the World: How Muslims, Jews, and Christians Created a Culture of Tolerance in Medieval Spain and co-authored The Arts of Intimacy: Christians, Jews, and Muslims in the Making of Castilian Culture.